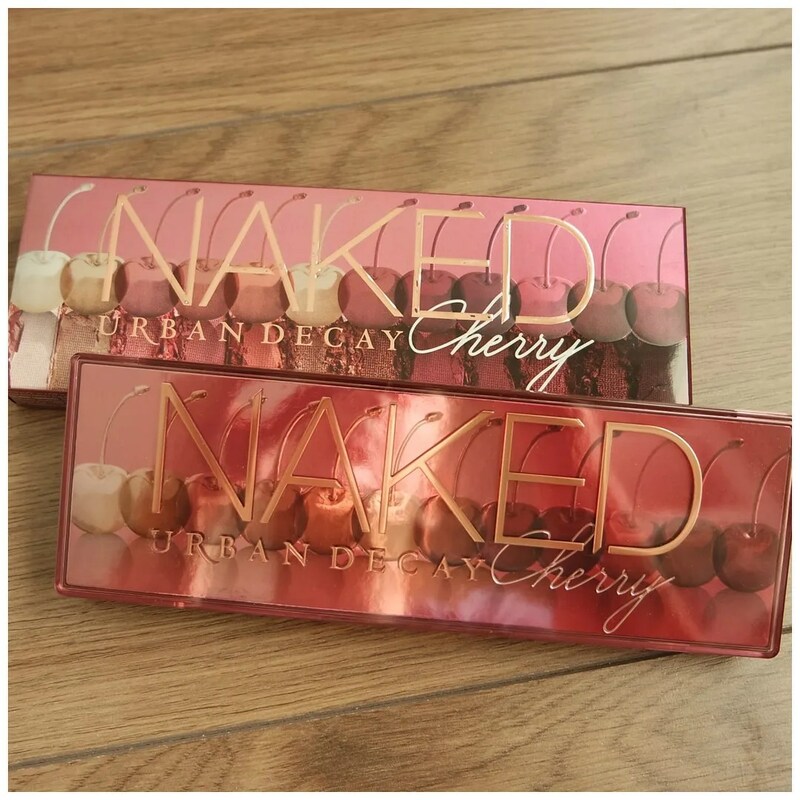 It’s finally here: my review of Urban Decay Naked Cherry. This newest eyeshadow palette in Urban Decay’s Naked line up came very suddenly and quite unexpected. The launch happened just weeks after the announcement of the original Naked palette being discontinued. But the palette is here and you know I had to give it a try. As all Urban Decay Naked palettes, this is of course not a cheap product. These palettes retail for €55.05. Yikes! 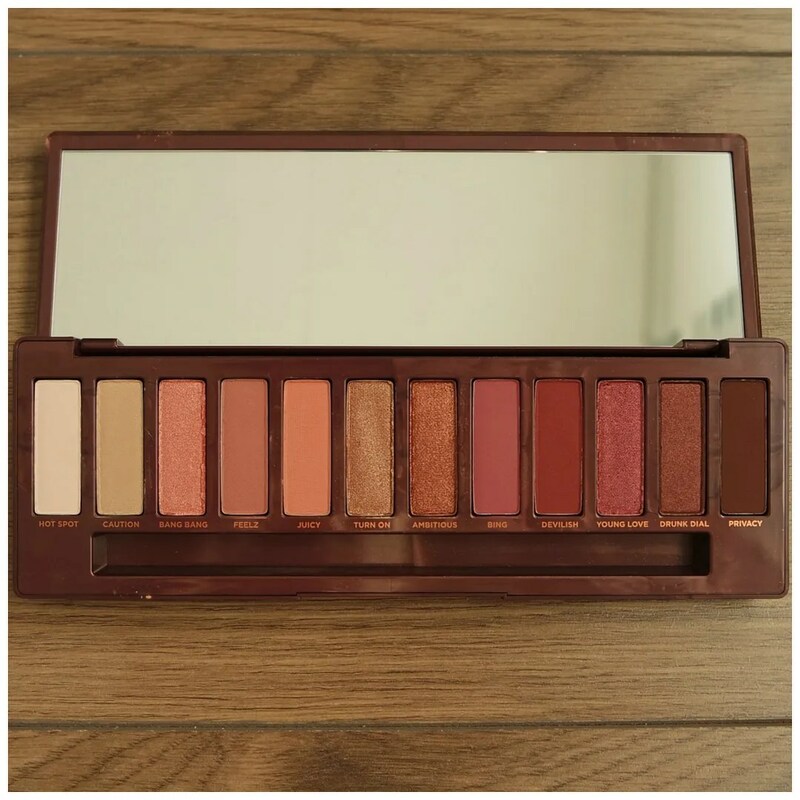 But overall the Naked palettes have earned their place in the makeup loving world for a reason and in recent years the formulation has changed much for the better. 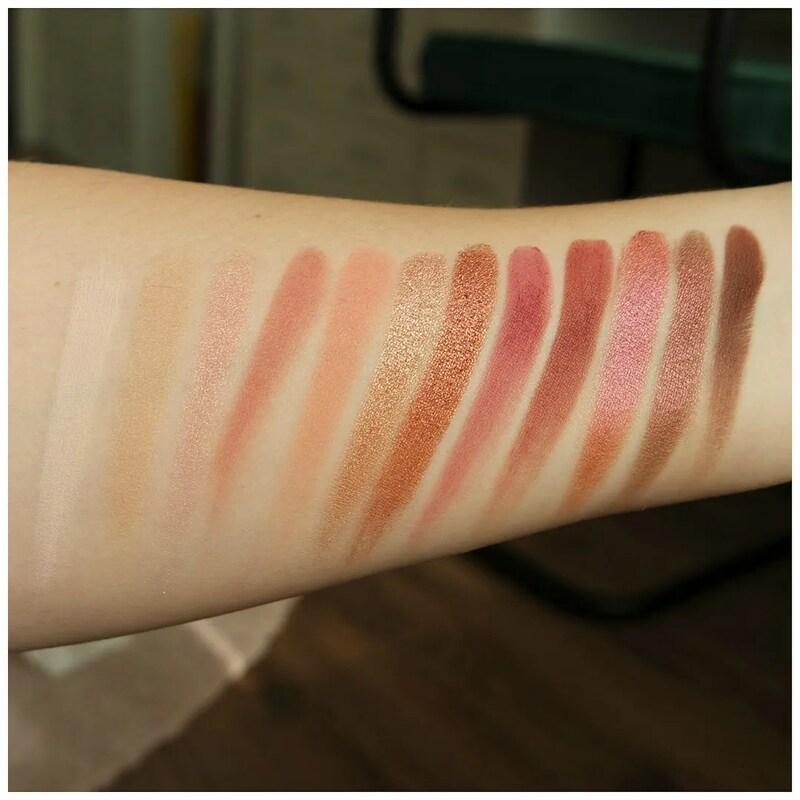 How does Naked Cherry compare to the other Naked palettes? Like Naked Heat and Naked Smoky before it, Naked Cherry has a hard plastic case. The packaging isn’t as pretty as the previous two, but I like how it has the cherry gradient representing the shades in the palette. There is a full mirror in the lid as always and the palette comes with a brush. Where the palettes came with a double ended liner at first, for some time now, the palettes all come with a synthetic brush. The brushes are a little bit different every time, but most of the Urban Decay brushes are quite similar in style. They are always nice quality and I like using these as part of my travel makeup bag. 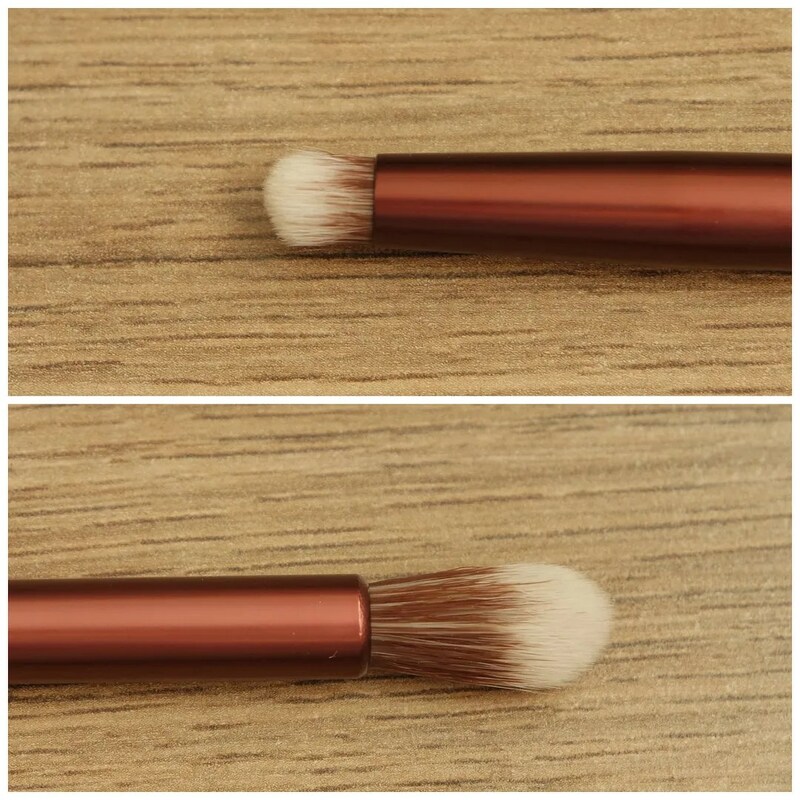 The Naked Cherry brush features a stubby smudger brush and a longer bristled blending brush. What makes this palette different is the fact that this shade range is anything but neutral, even though more and more neutral palettes feature similar shades. Anastasia’s Modern Renaissance palette was probably the first palette to do so and there are a lot of palettes that have done it since. So this palette is not unique in making the choice for these kind of shades. 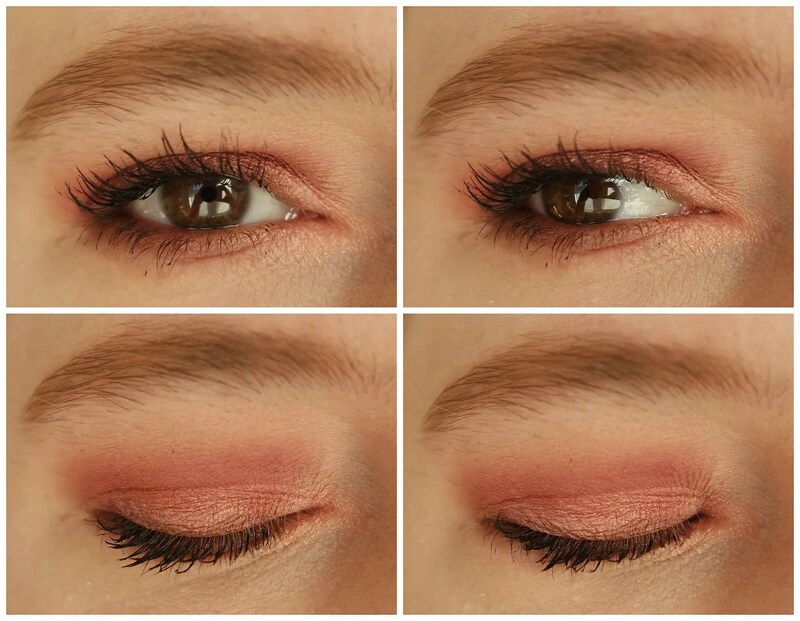 What is unique about the shades is the way they are combined: this palette combines peaches with berries and that is a match made in heaven. The palette features 12 shades as usual. Where the earlier Naked palettes featured more shimmers than mattes, this palette has 7 mattes and 5 shimmers. The shimmers are especially unique. They look quite standard in the pan, but once swatched and on the eye they are anything but a straight up peach, gold and bronze shade. The matte provide a good framework for building up a look and the texture is phenomenal. In terms of texture these eyeshadows are the most powdery eyeshadows a Naked palette has ever featured. The result? A palette with little fallout, but quite a bit of kickback, yet incredibly well-pigmented shadows that blend like a dream. 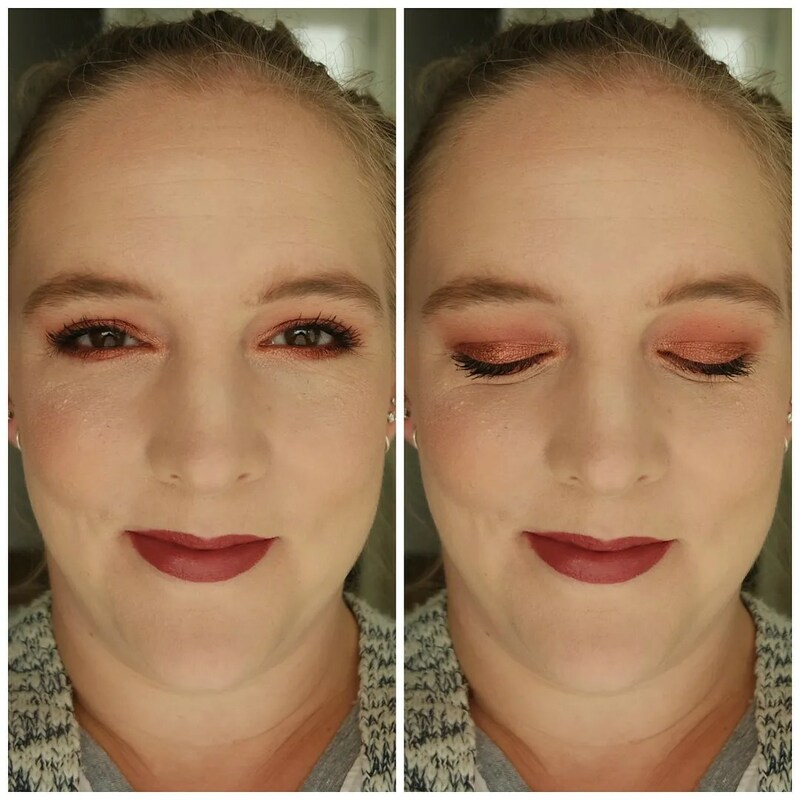 The shadows combine well and I find I can reach more distinct looks than with the Naked Heat. Overall, I find these shades to be more flattering on my skin tone. For me, this palette is almost as good as my ultimate favorite Naked palette: Naked 3. For the first look, I featured mostly shades from the middle part of the palette. My eye is mostly drawn in by the darker shades, but I always like challenging myself to use all shades when I review palettes. 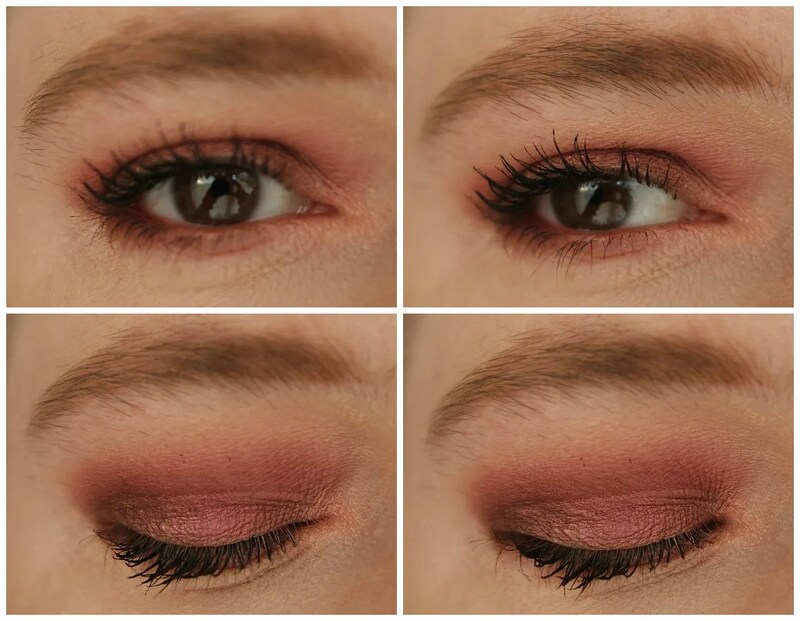 As you can see, you can easily create a look that is wearable for everyday life, but it adds a bit more interest than a standard brown. 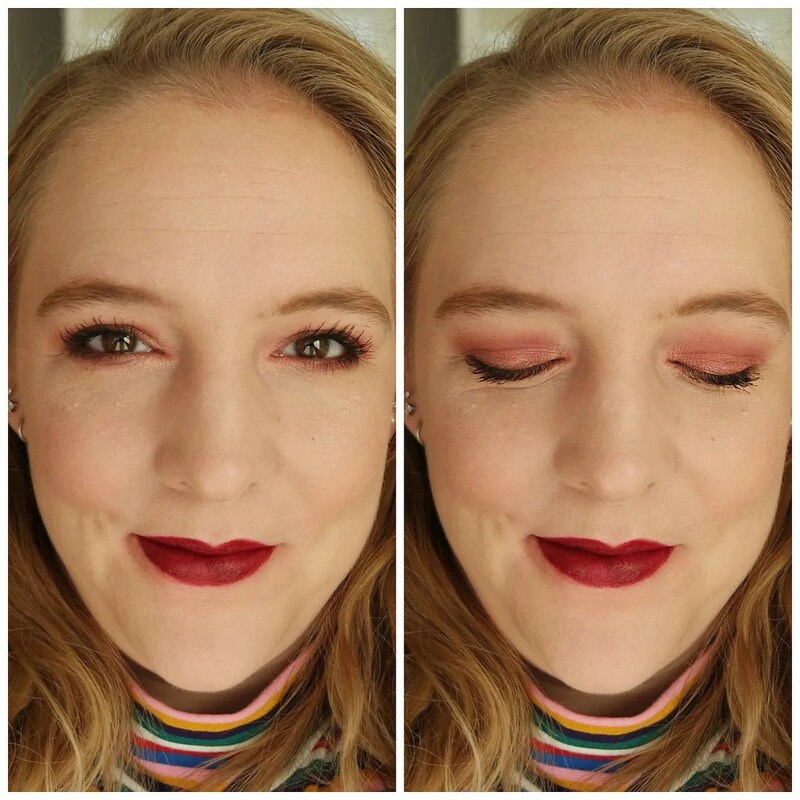 For the second look, I wanted to feature some of my favorite shades. As you can see this isn’t super berry toned, yet it features quite a few of those darker shades. It is nice and smoky and makes my eyes truly pop. 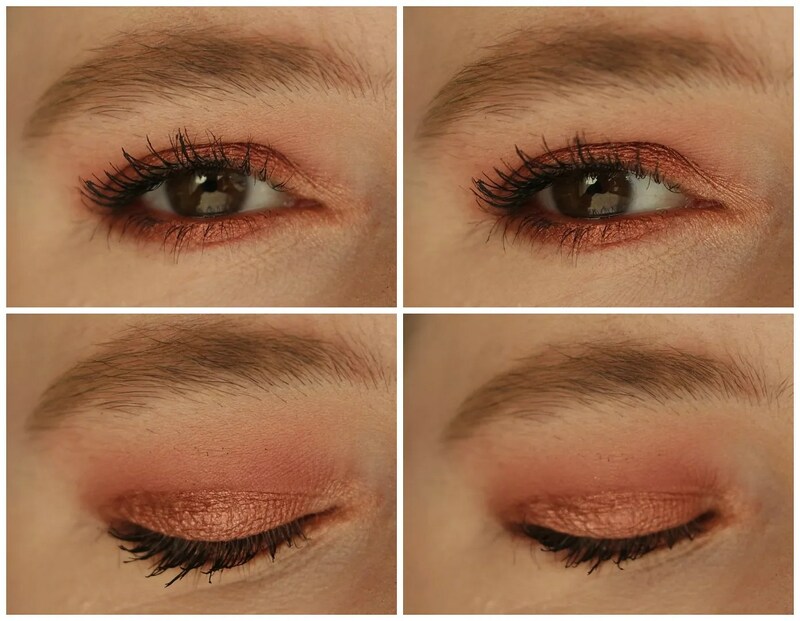 To show some different makeup techniques, I tried foiling the shimmer on the lid and as you can see that works well with this palette. For the final look, I used the darkest shade in the palette and I love how this is deep and dark, but nothing too stark against my skin tone. 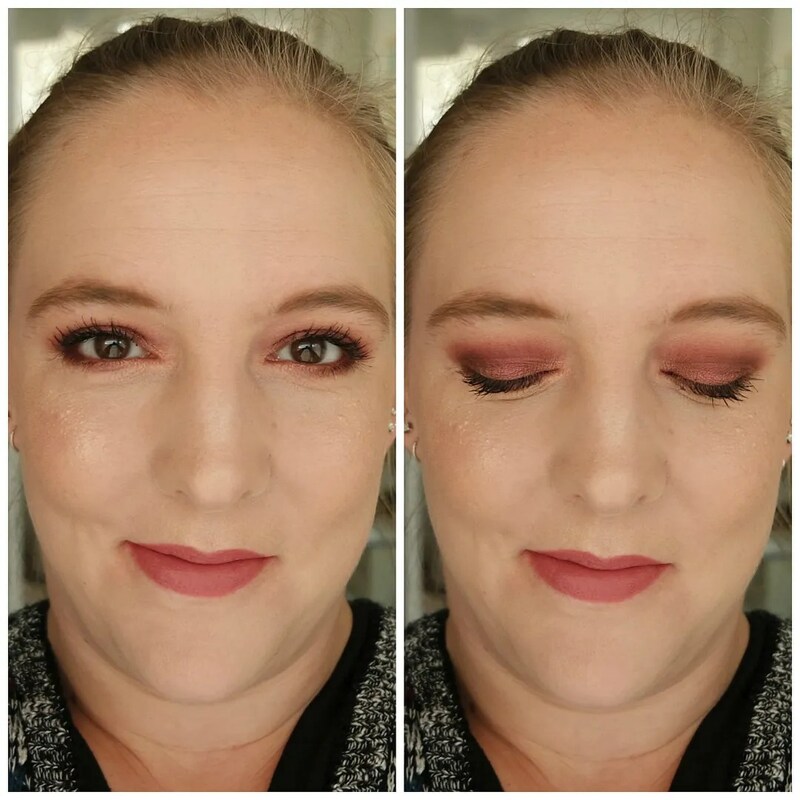 It is a nice vampy eye look that I think works still very well for everyday. So in that sense it is still a neutral palette, but these shades definitely have to suit your skin tone. 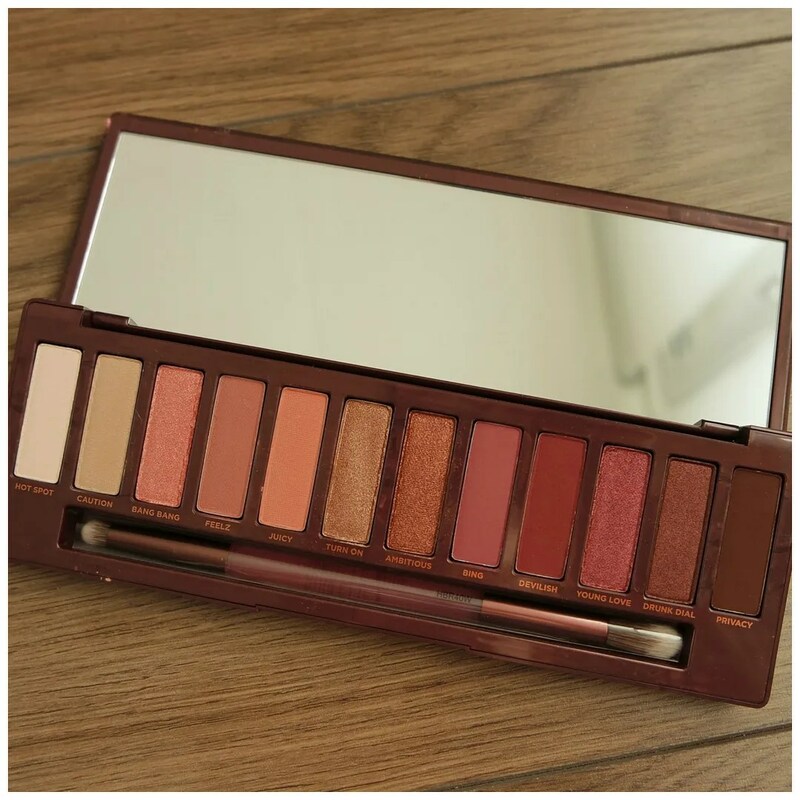 Is Urban Decay’s Naked Cherry a must have eyeshadow palette? I think if you want to try a berry palette that this is a good option. This palette does have something unique to offer, but these shades do not flatter everyone. If this palette intrigues you, I would highly recommend checking it out, because the formula of these shadows is one of the best Urban Decay has ever done. I also read somewhere this is limited edition, so it could only be around for a little while. What do you think of Urban Decay’s Naked Cherry eyeshadow palette? Thanks! I hope you had a great weekend too. I find the shades in this far prettier than Naked Heat! I absolutely love these colors! !